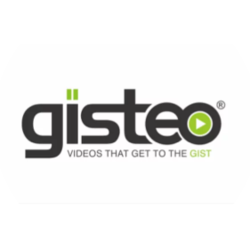 Gisteo creates animated explainer videos and marketing video that “get to the gist” of what your company, product or service is all about. We work with organizations of all sizes to craft animated videos that can be used for websites, social media, landing pages, conferences, email campaigns and more. We're looking for agents who believe in the "ABC" philosophy: Always. Be. Closing. Because "coffee is for closers!" So...you want coffee, come to work with Gisteo! As you can see on the Gisteo website, we're very transparent and straightforward about our offering. We mix in some humor here and there with our messaging and it has been effective over the years. As a sales pro, we'll leave it to you to decide on the best approach with your prospects but we are looking for agents who can embrace some of our brand voice and "no B.S." style.